Your Online Shop for Everything Needlework! Search our 45696 item online catalog. 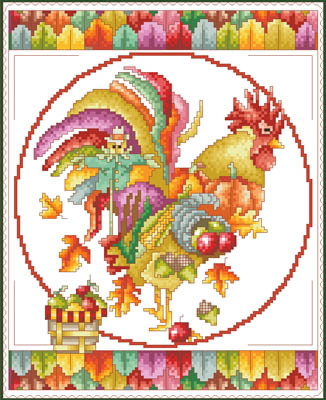 This site provides the onilne catalog for Robin's Nest Designs listing cross stitch charts (Mirabilia, Nora Corbett, Lavender and Lace, John Clayton), needlepoint canvases, crochet, knitting, quilting books, russian punchneedle embroidery designs, tapestry needles from John James & Mary Arden, embroidery floss by DMC & Anchor, Hand dyed threads (Caron, Crescent Colours, Weeks Dye Works, Gentle Arts Sampler Threads), Silk threads, Glissen Gloss threads, Rainbow Gallery threads, Kreinik metallic threads, Mill Hill beads, cross stitch kits, fabrics from Charles Craft, Zweigart & Wichelt Imports (linen, Aida, Lugana, Jubilee, Jobelan, etc. ), Hand dyed fabrics (Crossed Wing Collection, Picture This Plus, Polstitches, & Stoney Creek), afghans, placemats, towels, bookmarks, baby bibs and much more! Essentially everything you need to create collectible crafts and keepsakes of heirloom quality to give as gifts or decorate your home for everyday use or for Christmas! Items are subject to availability, and prices are subject to change without notice.